Our three offices are strategically placed in Northumbria, Lancashire and Yorkshire. 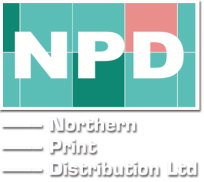 This gives us the best distribution flexibility possible and allows us to offer targeted leaflet displays either concentrated to a local area or spread across Northern England. If you're after a nationwide campaign, we deliver to Tourist Information Centres anywhere in the UK. If your target customers are families with young children, you can get your leaflet directly into the home through our Bags of Info for Kids, distributed through nurseries and primary schools. It's important to have an online presence too, so we've developed our own site daysoutinfo.co.uk to distribute your leaflets in PDF format.